These New Jersey rockers had a string of hits in the late 80s and 90s and have been on the road practically ever since. Following the tragic loss of singer Pat DiNizio in early 2017, the band has been joined on stage with a string of like-minded musicians. 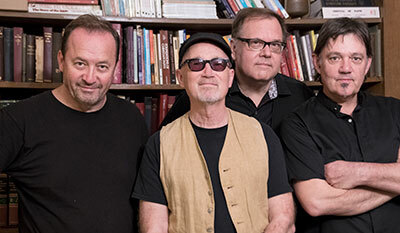 80s hit-maker Marshall Crenshaw joins them on this stop. 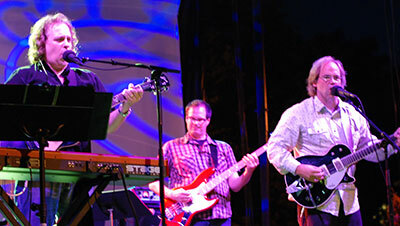 Chicago power-pop legends are reformed and taking the main stage to kick-off the 2019 Backlot Bash. Mike, a veteran of the Backlot Bash and member of The Bon Mots and Statutes of Liberty, will be performing solo accustic rock hits and oddities. War is an American funk band formed in southern Califoria in 1969. Thier cross-over sound incorporates latin, funk soul and R&B. The band has an unforgettable string of hits and their album The World Is a Ghetto was the best-selling album of 1973. Swinging pop and soul from an all-star lineup of local musicians from legendary acts such as The New Duncan Imperials, Devil in a Woodpile and many more. Kent plays classic honky tonk and country. Backlot Bash fan favorites return as The Rolling Stones. Chicago blues, swing & vintage rock n' roll. National Fingerstyle Champ. Jazz guitar.